79 different video games now offering 500 bonus Clubcard points! On this page at Tesco Direct, Tesco has a large number of new video game releases on offer with 500 bonus Clubcard points. Counting all the formats of all the different games, there are 79 titles in all! These are all pre-order deals and you will receive your copy of the game in the post on the day it comes out. 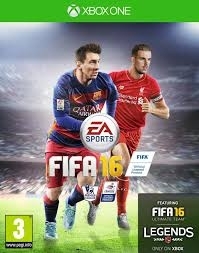 Fifa 16, pictured below, is among the titles included. Most of these games are priced in the £40 to £44 range. If you were planning to buy any of these titles, this represents an attractive deal, assuming you get £15 of value when you redeem your 500 Clubcard points. Tesco has a pre-order price promise so if any of these games is reduced in price before the release date, you will automatically be refunded the difference. This often happens if Amazon decides to be aggressive on pricing. I don’t think that this deal offers much flexibility for eBay reselling. As we get nearer to the date of release, it is worth taking a look at CEx to see what they are paying for these titles as, occasionally, there is an arbitrage opportunity. The Tesco Direct page for these games is here.